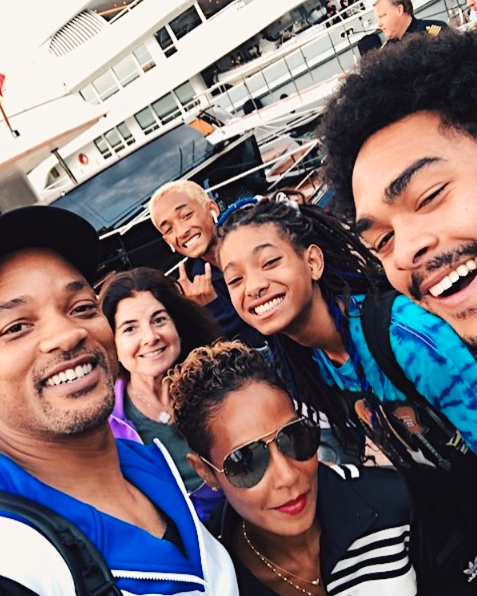 Will Smith has been showing off his moves on the ‘Gram lately (yes, he killed the In My Feelings Challenge), but now it’s time for family and the actor couldn’t be happier to make new memories with his clan. The Philadelphia native took to Instagram on Monday night to share that now that he has wrapped shooting his forthcoming film, Gemini Man, a family vacation with wife Jada and kids, Trey, Jaden, and Willow, can finally begin. “Just finished shooting @GeminiManMovie for 5 Months… Knocked Out the #WorldCup… Family Vacation Begins TODAY!,” he wrote to caption a photo of the Smith clan, who were all smiles. The family kicked off their summer travel plans in the Almafi coast along with a few family friends and while there is no word as to where they will go next, we’re sure it will be jam-packed with lots of love and laughter–and we’ll, of course, be watching to see!